« Free Shakespeare in the Park – Prospect Park! The New York Times recently ran a nice article on our local PLG nursery, Kings County Nurseries. It discusses how the business has adapted to serve its many customers in our diverse neighborhood. 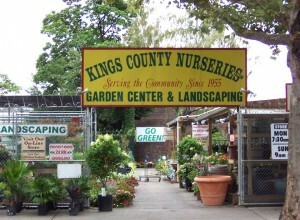 Kings County Nurseries is located on New York Avenue between Rutland Road and Fenimore Street. They work closely with many local block associations to help them realize beautification projects. They are a good neighbor to all of Prospect Lefferts Gardens, and we are lucky to have them nearby. Our fantastic neighborhood blog Hawthorne Street posted a reminder that kids under 12 can ride the Prospect Park Carousel free every Thursday this August. Astoria Federal Savings is sponsoring this event. The Brownstoner blog’s Forum recently had a very informative discussion on the Lefferts Manor single-family covenant. Last Tuesday, a Maple Street home in Lefferts Manor was featured as a Brownstoner "Building of the Day".